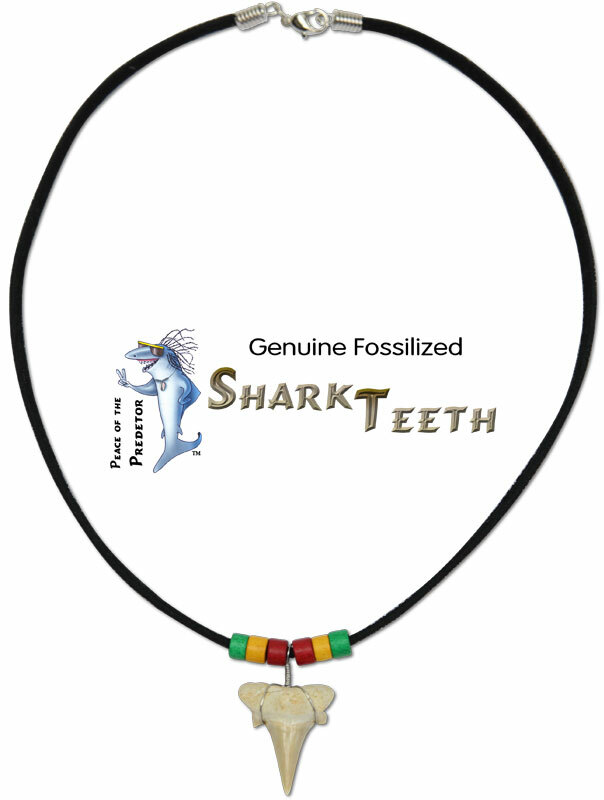 Rasta beaded, black suede necklace with real fossilized otodus sharks tooth from the Atlas mountains of Morocco. 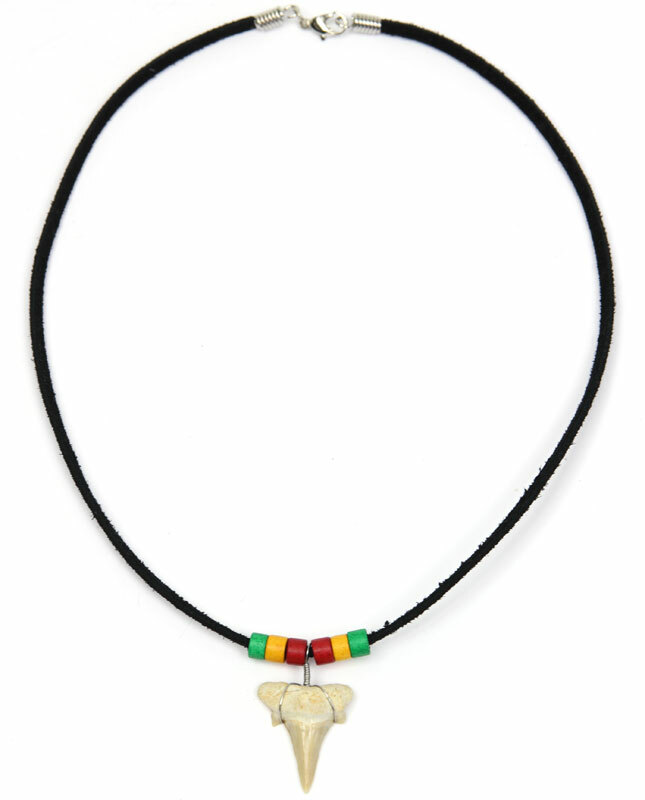 New rugged 18" suede made in the USA with lobster clasp closure. 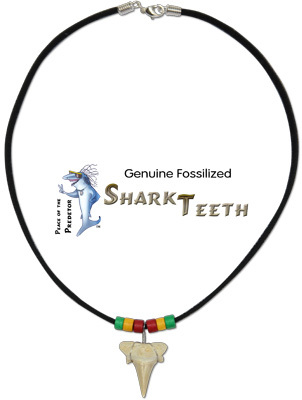 Shark Teeth are approximately 1" tall.